Warren Buffett suited up on Sunday, and not for a board meeting or investor conference. It was for a Miami Dolphins football game. 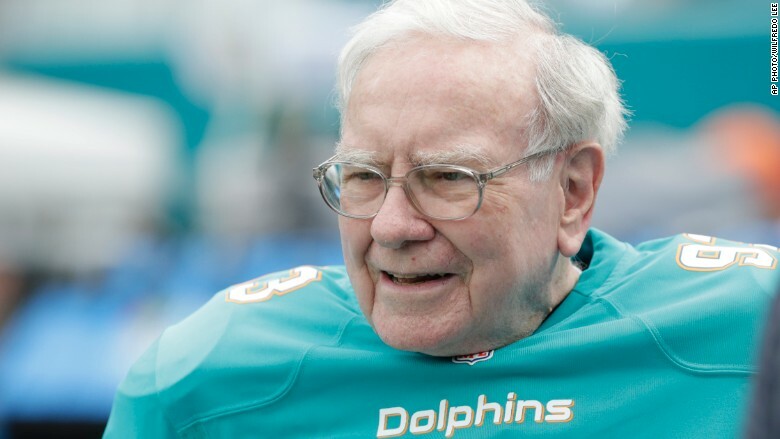 Buffett was on the field -- just off the sidelines -- wearing pads and a #93 jersey, rooting for Ndamukong Suh, a 6-foot, 4-inch defensive tackle for the Dolphins. The two met nearly seven years ago during Suh's senior year at the University of Nebraska when Buffett came to one of his games. According to an interview with CNBC that aired in May, Suh is deeply interested in finance. "It's always been something that's fascinated me," Suh said. "I've always loved numbers." Suh, 28, added that he wants to be prepared for life after football and doesn't want to join the one in six NFL players that go bankrupt after retiring. Buffett previously wore Suh's number to a Detroit Lions game. The defensive tackle signed with the Dolphins this year -- on a six-year contract worth $114 million, according to Spotrac.com -- and Buffett's fandom followed.